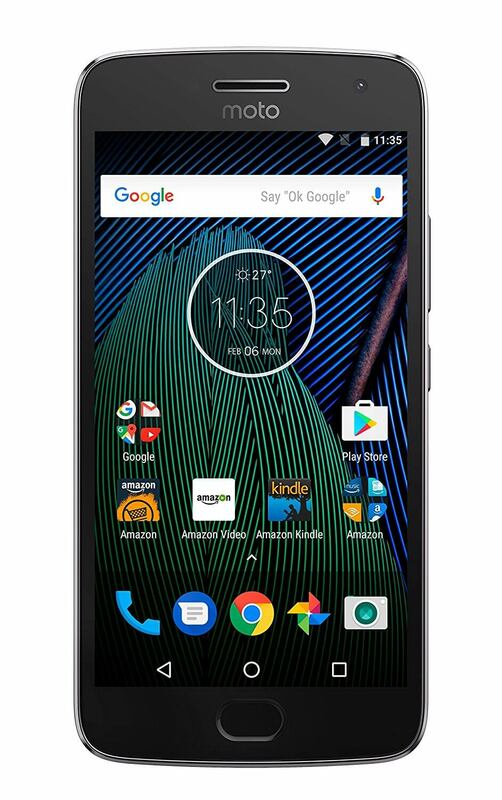 Today’s Deal is on the all new Moto G5 Plus. The phone was announced last week and today is its first day of availability. You can pick up the Android Nougat running phone with 4GB of RAM and 64GB of storage for $239 from Amazon. There are a lot of options on this phone but if you are willing to put up with Amazon ads on the lock screen, you can save a few dollars. The Moto G5 Plus has a 5.2″ Full HD display rendering at 1024 x 1920. That gives you a solid PPI count of 424, making it easy on the eyes for long periods of viewing. It is powered by the Snapdragon 625 processor running all eight cores at 2.0GHz. As mentioned, the top end configuration has 4GB of RAM and 64GB of storage. That storage can be expanded up to an additional 256GB thanks to the MicroSD slot. The phone is sold unlocked on Amazon so it works with various carriers. A nice benefit is for you Verizon and Sprint customers. Yes, this phone will work for you as it supports GSM and CDMA. AT&T and T-Mobile customers, it’s fully compatible for you too. security, dual-band Wi-Fi and Bluetooth 4.2. All-in-all, a solid phone for this price and given that it is running Android Nougat out of the box, that’s an added benefit. The main question is configuration. I’ve broken down the various configurations below so you can decide which one best meets your needs. Of course, the phone will come pre-loaded with various Amazon apps and if you are a Prime customer, you have free shipping. Hit up one of the links above to get all the details and to order. All variants are in stock at the time of this post.